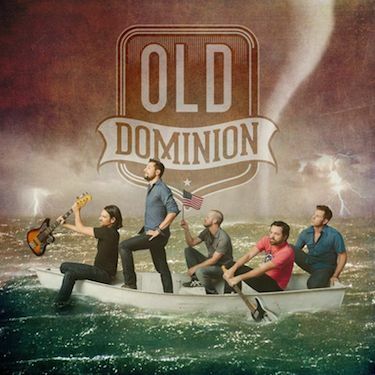 New country group Old Dominion is set to release their self-titled debut EP on Tuesday, Oct. 7, on ReeSmack-Thirty Tigers records. The five-track EP, produced by Shane McAnally, includes fan favorite “Break Up With Him” as well as their current single “Shut Me Up,” which has seen success on Sirius XM’s The Highway and has also reached nearly 1.7 million streams on Spotify and is available on iTunes. Also on release day, the band will be chatting with Storme Warren on Sirius XM’s “The Drive” about their new album and what’s in store for them this fall. Additionally, the band and its single “Shut Me Up” will be featured on ABC’s hit show Nashville on Wednesday, Oct. 8, at 9 p.m. CT / 10 ET. Old Dominion is touring select dates with country maverick Chase Rice for his Ignite the Night Tour. They will also play the Grand Ole Opry stage on Oct. 14 and headline a show at Mercy Lounge on Nov. 19.